Ford Figo ST Rendered - Can it Take the Fight to Volkswagen Polo GTi? 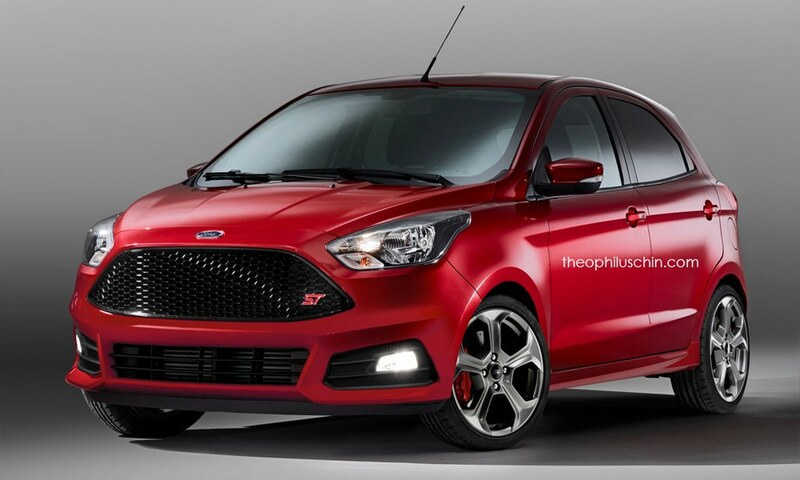 Ford Figo ST Rendered – Can it Take the Fight to Volkswagen Polo GTi? A hot hatchback version from Ford is not something new in the overseas markets as the American manufacturer’s Focus RS, Focus ST and the beefed up ST and RS variants of the Fiesta are very well known among customers. These tuned up special editions come at a substantially increased price over the standard models and has a separate legion of buyers preferring to have fun in the stuffed up lighter hatchbacks. In India, we don’t have hatchbacks pumped to over 200 hp but the Volkswagen Polo GT and Fiat Punto Abarth have started the trend, followed by the forthcoming RS version of the Maruti Suzuki Baleno. It is no secret that Volkswagen is developing the GTi hot version of the Polo as it has been spied running trials several times in the country. It will be positioned in a niche segment all on its own and is expected to be powered by the potent 1.8-litre TSI petrol mated to a seven-speed DSG developing 187 bhp. An interesting artistic rendering has emerged on Theophilus Chin with a digital drawing of Ford Figo’s hotter version. Although not confirmed for production, it’s named as Ford Figo ST and could play as an attractive prospect for the brand considering the below par sales of the standard Figo domestically. If taking into account, the Ford Figo ST will be targeting young buyers looking to own a sporty hatchback that goes like clappers. 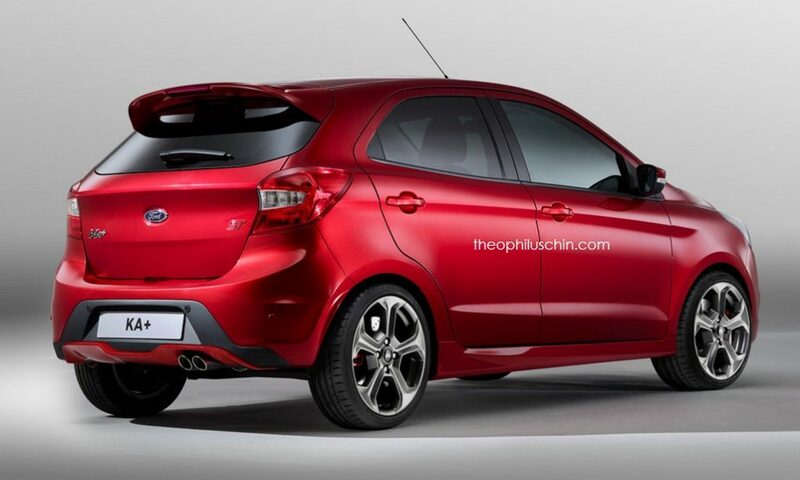 From the rendered images we can see that the imposing grille, comprising of ST badge, has received design influences from Fiesta ST with aggressive bumpers and foglamps, new set of multi-spoke alloy wheels, sporty dual exhaust system and roof-mounted spoiler. Under the bonnet, it could feature an uprated version of the 1.0-litre EcoBoost engine with power output close to 125 PS and 170 Nm of peak torque. Currently the regular Ford Figo gets power from base 1.2-litre Ti-VCT petrol motor delivering 88 PS at 6,300 rpm and 112 Nm of torque at 4,000 rpm. It is coupled to a five-speed manual gearbox. The diesel mill is the 1.5-litre TDCI Duratorq engine making 100 PS at 3,750 rpm and 215 Nm of torque at 1,750 rpm. This engine is linked with a five-speed manual transmission and the top-spec versions are sold with the 1.5-liter Ti-VCT engine generating 112 PS at 6,300 rpm and 136 Nm of torque at 4,250 rpm.